Civil War medicine was nothing like you would expect to see in today’s world. Medical care during the Civil War was rather primitive. There are many Civil War medicine pictures which show grizzly scenes. Suppose you’re a Civil War soldier. It really doesn’t matter much which side, although medically speaking you were a little better off if you were a Union soldier. Either way the last thing you want is to become sick or become wounded with anything more than a paper cut. Since sanitation was non-existent during this period of time, any type of open wound could easily become infected leading to severe complications even death. There were many different Civil War diseases and if you did become sick, and every soldier did at some point there were a lot of interesting techniques Civil war doctors would use to treat your illness. 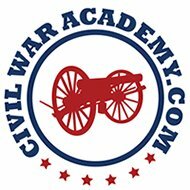 The Civil War medical instruments used during the Civil War would most likely do you more harm than actually help you. A great book detailing the brutality of the Civil War is Living Hell: The Dark Side of the Civil War this book goes into great detail describing exactly what a soldier fighting during the Civil War really experienced, it shatters all of the romantic misconceptions about the war and offers a much bleaker version of the war which most people do not generally think about. Substances such as Mercury were used often as a treatment for all sorts of problems. If you felt sick they gave you mercury, well they gave you something called calomel which was nothing more than honey and chalk with mercury mixed into it. Needless to say the medical community at the time was not aware of the poisonous substance they were giving their patients, even though the patients were developing tooth loss, digestive problems and even brain damage. Now the one piece of medical technology during the Civil War that was actually quite beneficial to patients was Chloroform. This was an anesthetic that was invented during the 1840’s. Chloroform allowed Civil War surgeons to perform their operations without a wild-eyed screaming patient on their table. It really was quite a valuable tool. And even better there were great quantities of it in both the North and the South. Now if you were injured in battle you didn’t have a whole lot of options especially if the would was severe. Probably the most recognizable and well known piece of medical equipment during the Civil War was the bone saw. This lovely instrument looks like a hacksaw and had only one purpose. You know what that purpose is of course. It was used to cut off arms and legs and feet and hands. A full 75% of surgeries in the field were amputations. The greatly improved weapon technology coupled with old Napoleonic style battle tactics led to huge amounts of casualties. Civil War medicine was years behind the technology that caused so many deaths. And quite frankly the doctors during that time simply did not posses much medical knowledge at all. All these things add up to one conclusion.